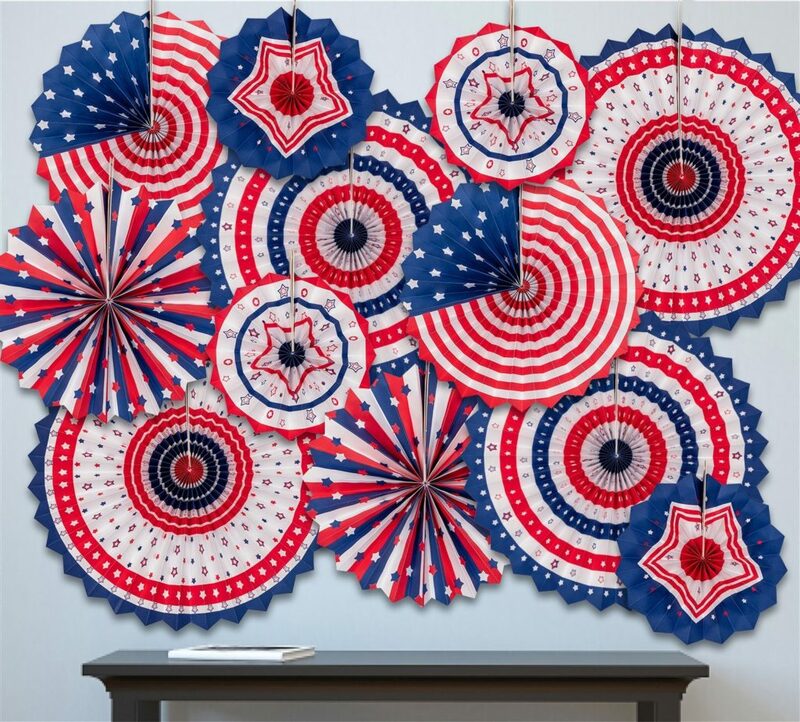 Celebrate our nation’s birthday in style with these 4th of July Home Decorating Ideas. Red White and Blue Patriotic Decor will get into the holiday spirit! 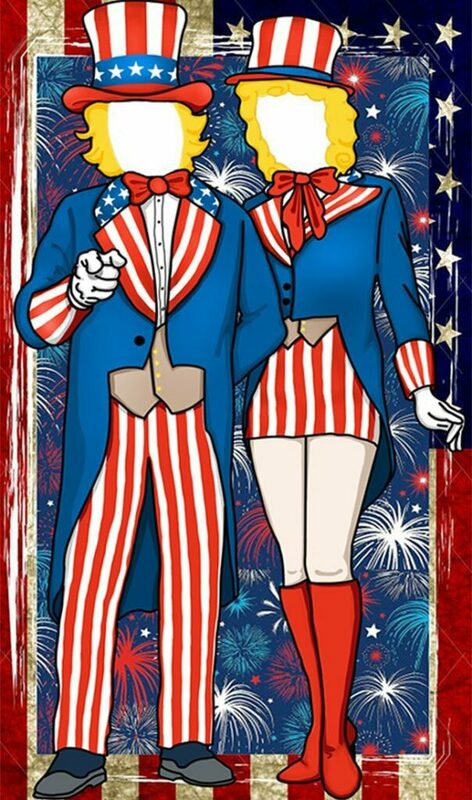 Here is everything you need to bring our the sparkles and the red, white and blue this Independence Day. How fun are these? 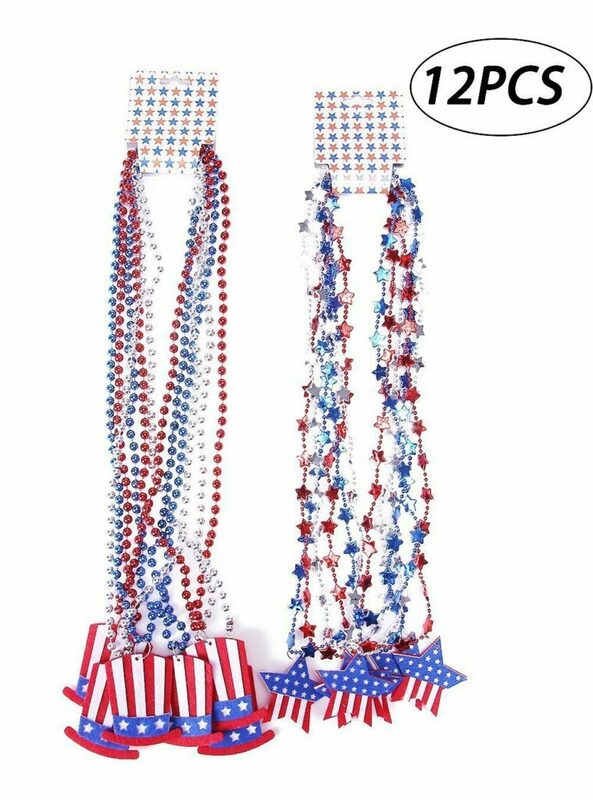 Patriots of all ages will enjoy these necklaces. You get 12 in the set. 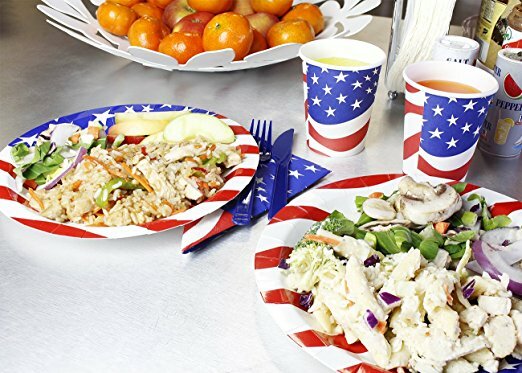 Set the table and make cleanup easy with this 24 pieces patriotic dinnerware set. It has everything you need for a picnic on the 4th in one package! Another great package deal! 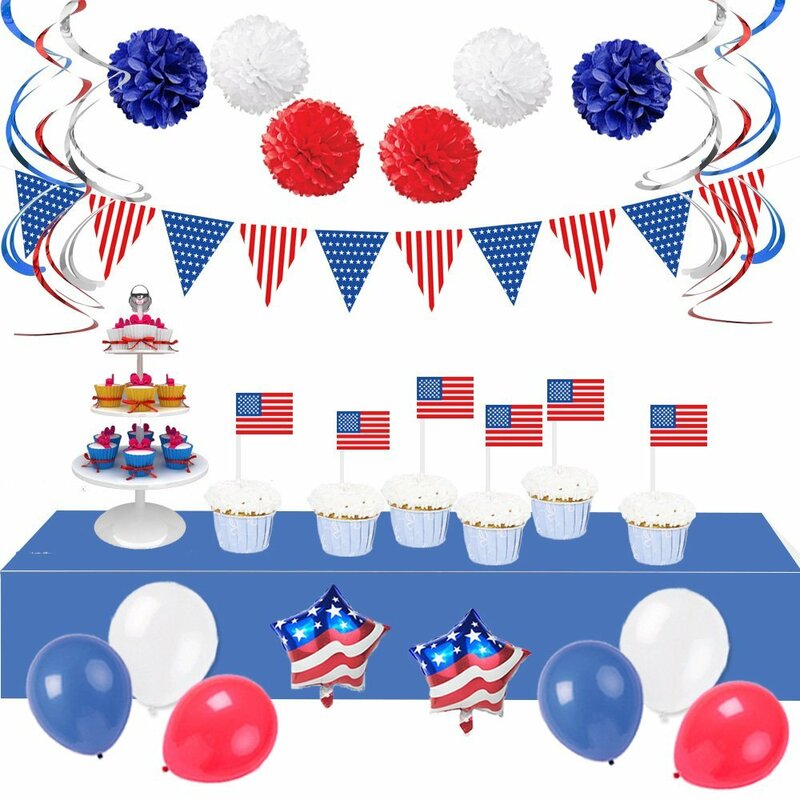 These fourth of July decorations include 34 individual independence day party decorations including American flag decorations: balloons, banner, cupcake flags as well as red, blue and white balloons and swirls. What would a party be without pictures? Forgot your USA colored shirt? No worries – just pop behind this backdrop and get your photo taken. Great ice breaker. I love these! You can do so many things with them. 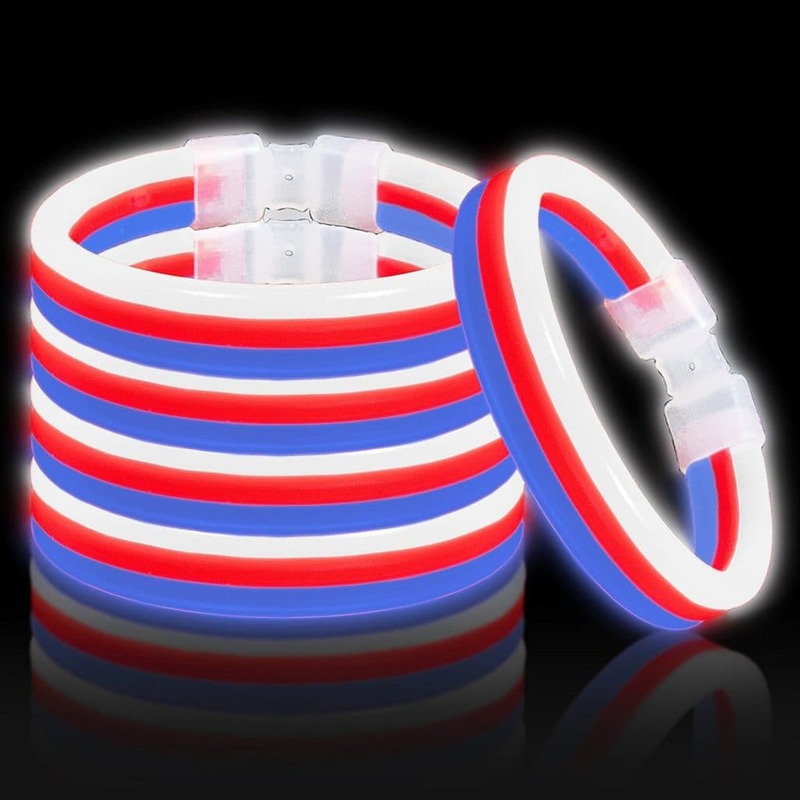 12pcs red, white and blue fans in six different stars-and-stripes designs(Each design 2pcs) and three sizes (approx. 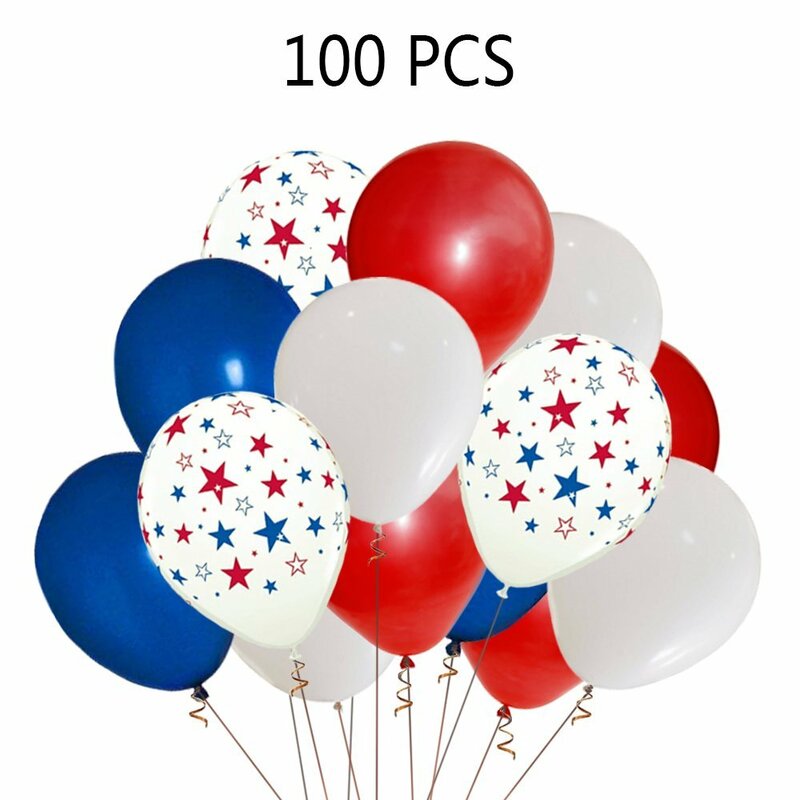 8″, 12″ and 16″) for use as hanging decorations. Made of heavy paper they are printed on both-sided. They can be folded up for storage and used multiple times. Balloons are never out of place. Hand these out to the neighborhood kids, decorate the pavilion or use as table decorations. The ideas are endless. No 4th of July celebration is complete without glow sticks! These connect together to make bracelets or whatever else you can think of. You get 30 plus connectors. 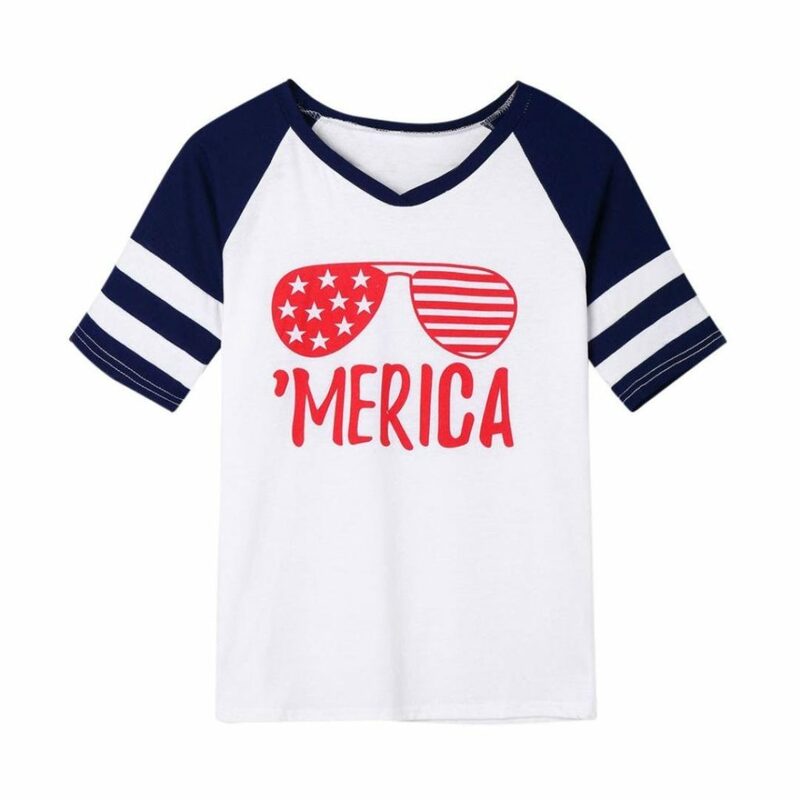 Everyone needs a shirt for the 4th. You can take your pic among the selections you will find here. There are even mother – daughter sets. 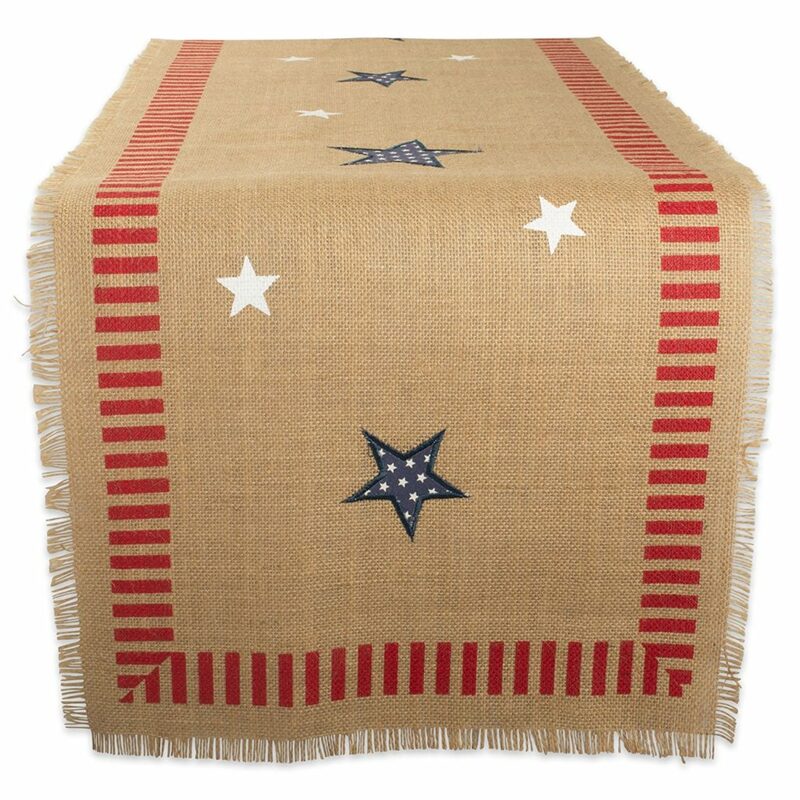 Go country with this beautiful burlap table runner. It’s classic country and will add a touch of charm to your table settings. 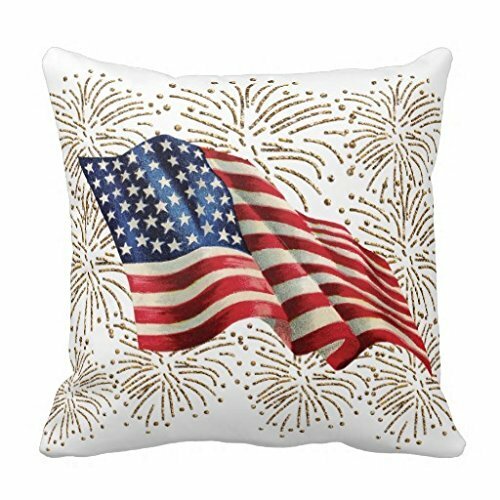 Cover up your throw pillows with this American flag pillow cover. it brings the fireworks inside with a bit of sparkle. 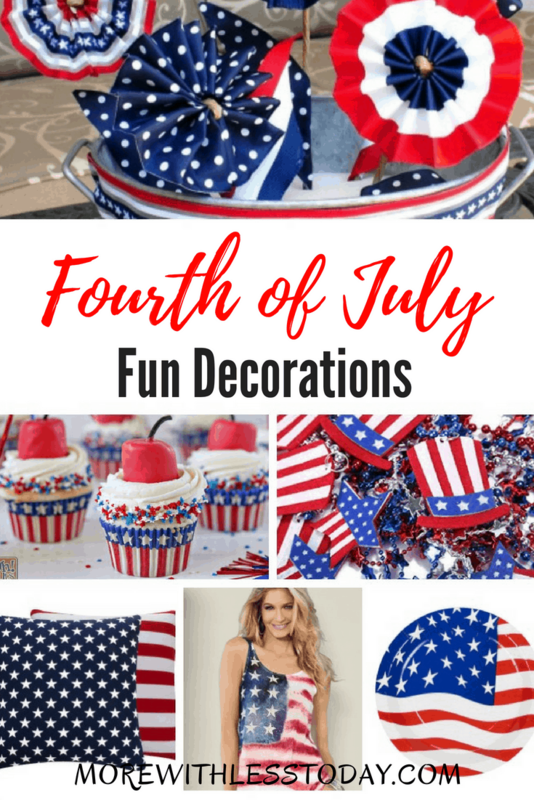 You will find other great ideas for your Independence Day party on Etsy. Don’t delay, sometimes these homemade items take a little longer to arrive. Follow my Patriotic Pinterest Board for even more ideas!